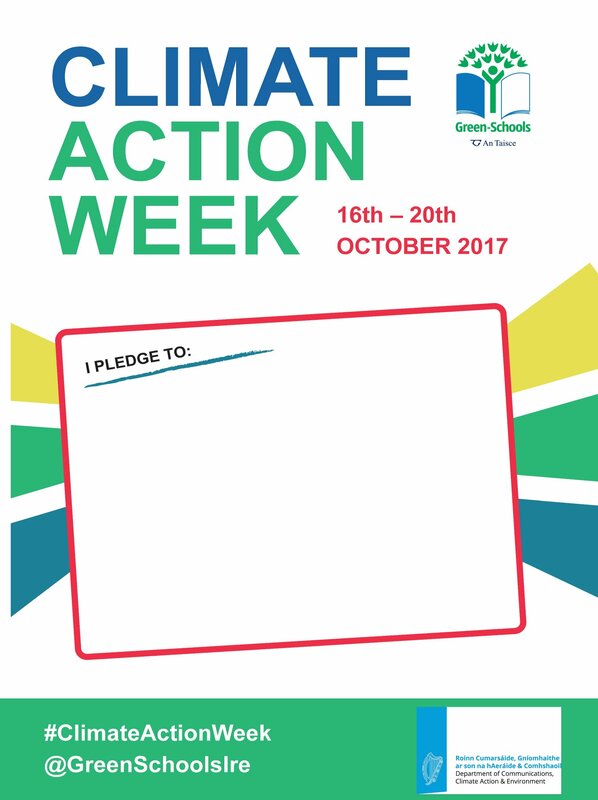 Climate Action Week is running from 16th – 20th October and it is the first time it is being held in Ireland. If you host a Climate Action Day in your school it will count in your green flag application as your action day. So WEEE are here to help you get started! Take the WEEE Pledge challenge to recycle your waste batteries in your school for your Climate Action Day. Screen the newly launched battery educational video with your school- Video Link Here . Once you have 5 full boxes please request a FREE collection here. 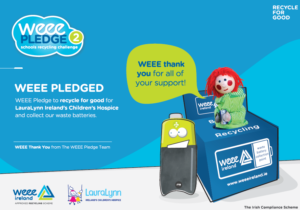 By taking the pledge to recycle your waste batteries you are not only helping to protect the environment by diverting hazardous waste from landfill but you are also helping to raise vital funds for LauraLynn, Ireland’s Children’s Hospice.